We began work on the hub at 632 Jackson Street in late May. Since day one, our work in the lot has drawn considerable community interest. The 600 block of Jackson Street has a highly vigilant group of residents committed to maintaining the cleanliness and beauty of what little public space they have. Trash is a divisive issue in South Philadelphia. 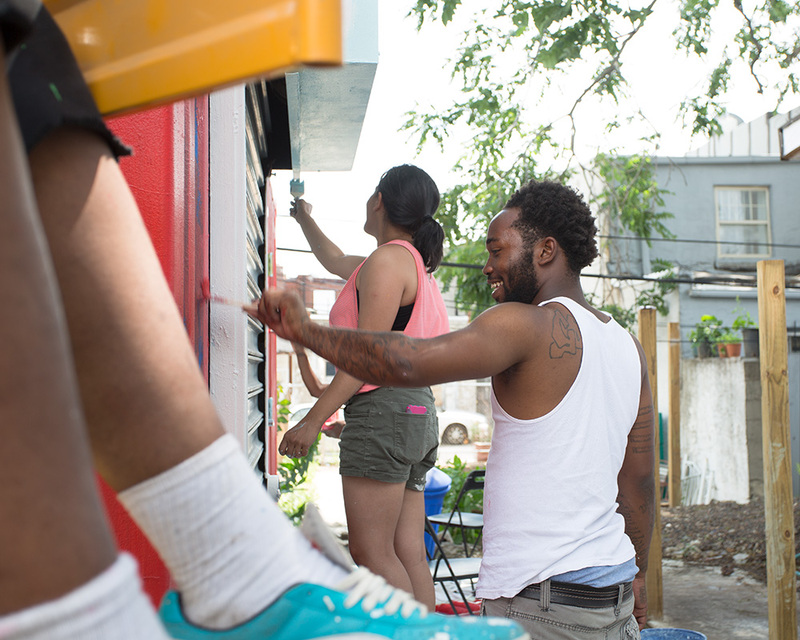 Some blocks are cleaner than others, usually because of the efforts of block captains and other concerned residents. 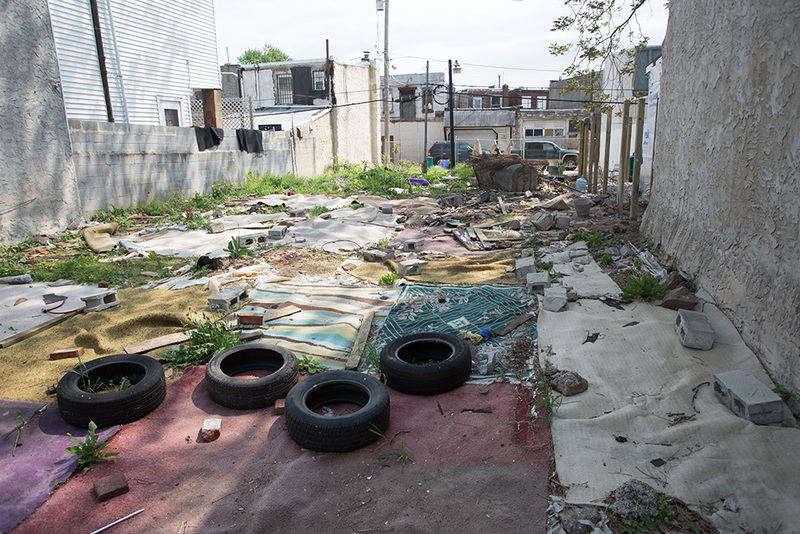 Vacant properties and overgrown lots in particular focus negative activities like garbage dumping, and no one, particularly in neighborhoods where there is no city-sponsored cleanup, likes to live on a trashy block. See the full gallery here. 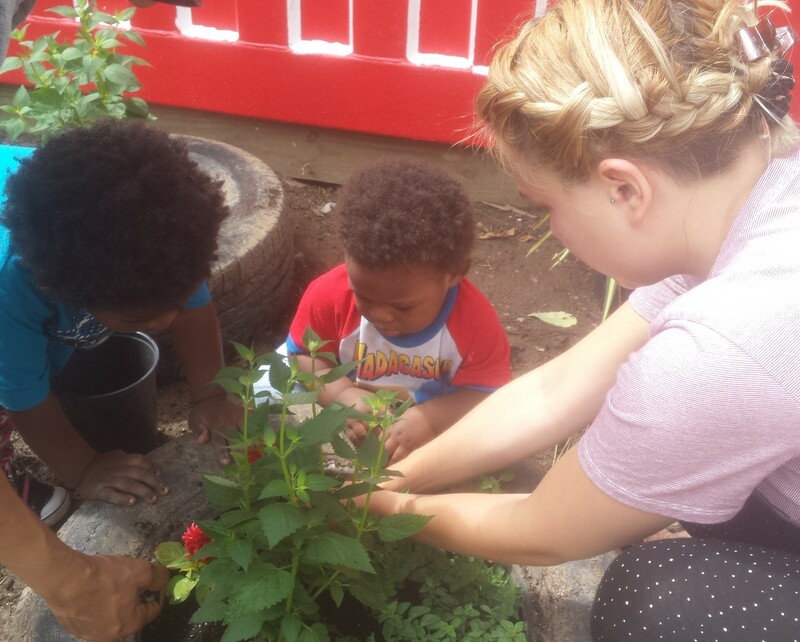 In these workshops, led by Scott Quitel of the LandHealth Institute, neighborhood residents learn a little about their local ecology and then get their hands dirty planting, arranging, and weeding in the Playground for Useful Knowledge. Workshops will continue on the final Saturday of each month through August 26th. See the full gallery here. 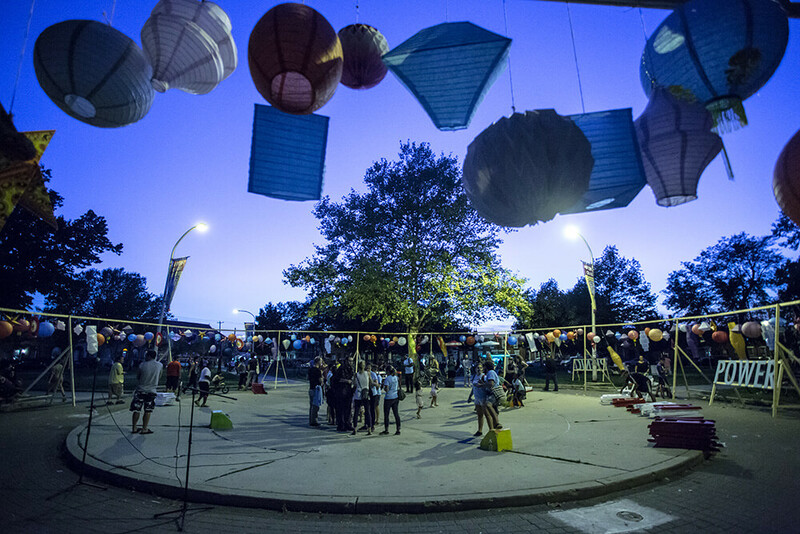 The Playgrounds for Useful Knowledge hub, located at 632 Jackson Street in the heart of South Philly, is the location where CohStra and their partners will stage three actions and a summer’s worth of workshops. In April this lot was an eyesore, a nuisance to the community. In the spirits of play and utility, it is important that the space become a beautiful, useable one, both welcoming to visitors and a point of pride for neighbors. Soumya Dhulekar, assisted by Latasha Billington and Margaret Kearney, led members of Mural Arts’ YVRP program in painting the finely detailed design, created by Heidi Chisholm in collaboration with CohStra, on a twenty-foot-long metal shipping container acting as an on-site outpost. See the full gallery here. After a weekend of thunderstorms and blustering rain, the weather calmed down for the first major action of Playgrounds for Useful Knowledge. Community leaders representing South Philadelphia’s rich diversity came together at the neighborhood hub for Action One: Sharing Knowledge. 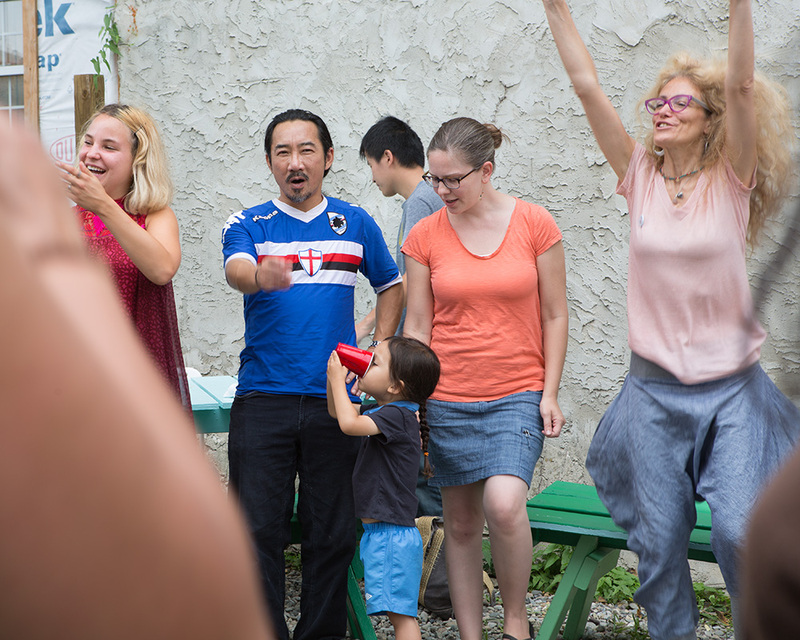 Philadelphia Theater of the Oppressed opened the event with an interactive theater workshop, performing stories and images drawn from months of community research conducted by CohSTRA. Participants were invited to interpret what they saw, opening up conversations about vital neighborhood issues which were then continued in small committees facilitated by CohStra members. See the full gallery here. 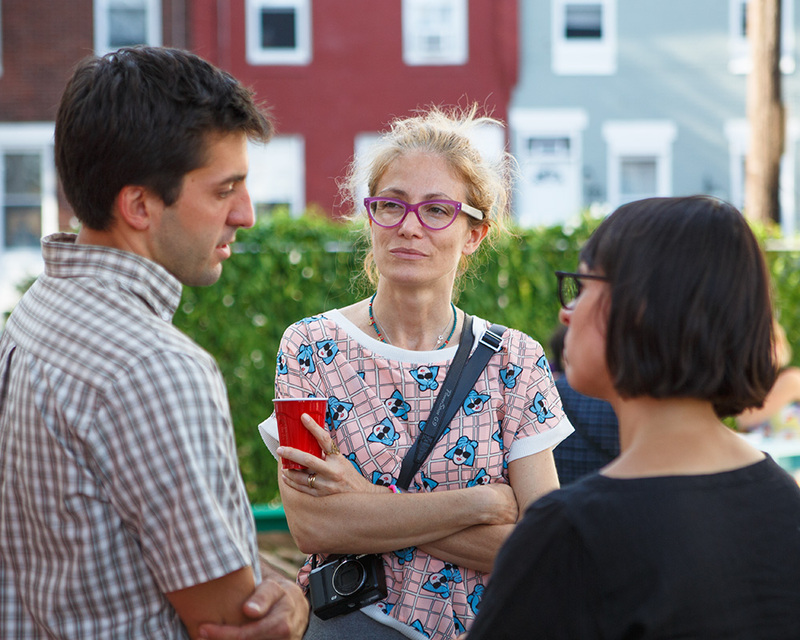 The useful knowledge disseminated and discussed in Action 1 was transformed into a shared community vision in Action 2: A Space for Urban Reappropriation, which took place on July 18, 2015. During the first meeting committees convened to address issues related to space, economy and social issues prevalent through the South Seven—the area comprising the South Philadelphia neighborhoods of Passyunk Square, East Passyunk, Dickenson Narrows, Greenwich, Pennsport, Lower Moyamensing, and Whitman. This process continued during Action 2, when the three committees met to discuss the possibility of working together on Action 3, a single public event that coalesces the various community organizations and disparate cultural groups towards one shared end. See the full gallery here. 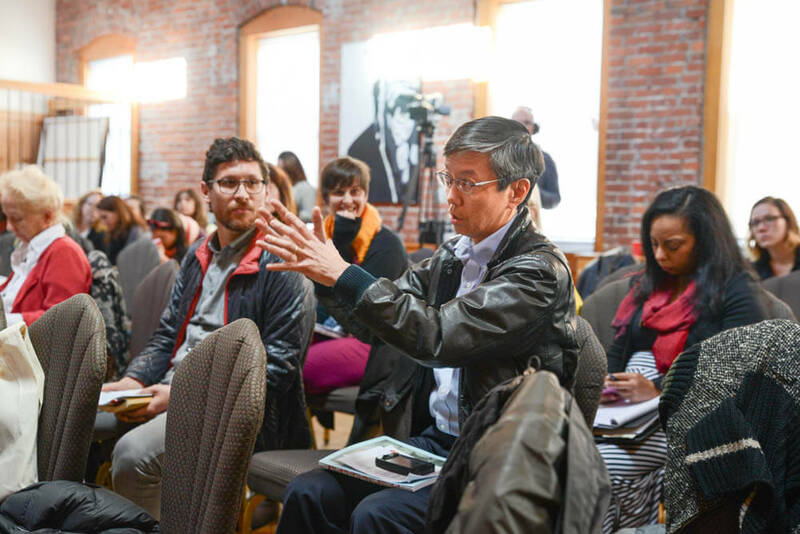 See the full photo gallery from the convening, and download the report here.